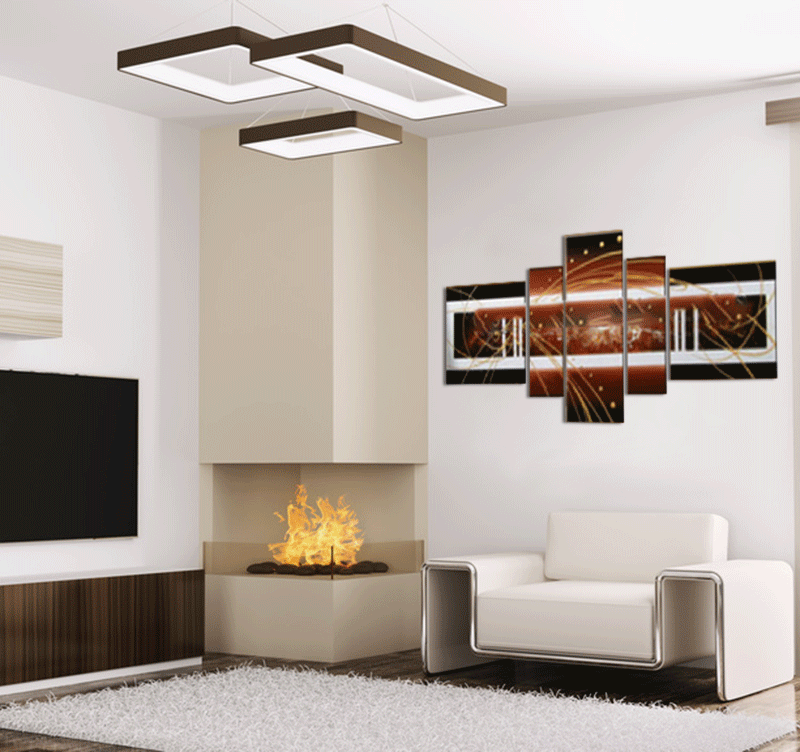 With its futuristic and contemporary design, this modern painting is a unique piece in abstract art. This modern canvas painting is 170 x 90 cm (55.12 x 31.50 po). Free delivery within 48/72 hours in metropolitan France for this "Sun Levitation" canvas painting. 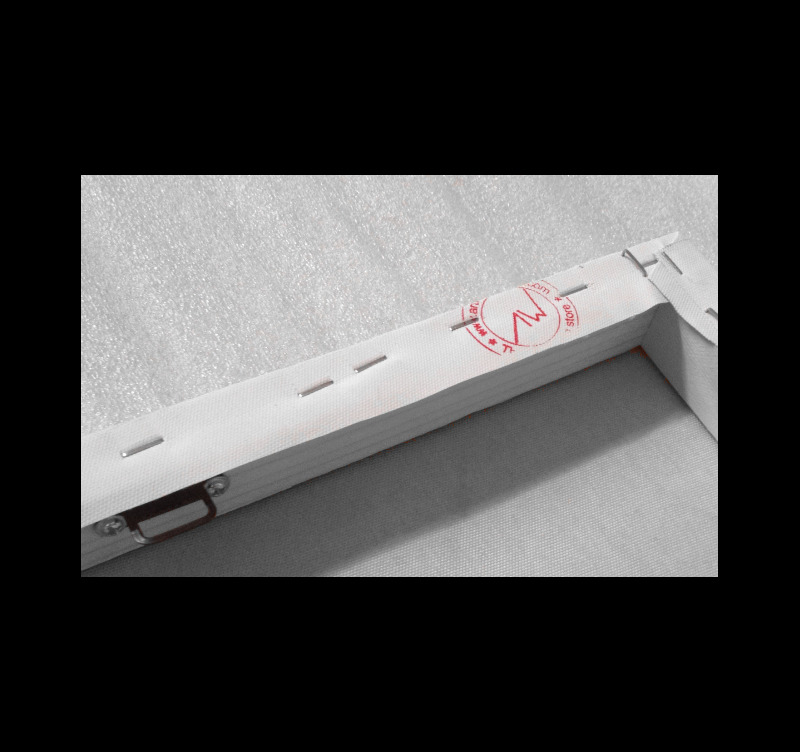 Each design painting is treated to withstand UV and moisture. The "Sun Levitation" modern canvas painting, consisting of five asymmetric panels with warm colors, offers a very contemporary style due to its rounded and linear geometric shapes that makes it a very original contemporary piece. This modern artwork will make you travel thanks to its central drawing and avant-garde style, and will catch your eye and imagination. 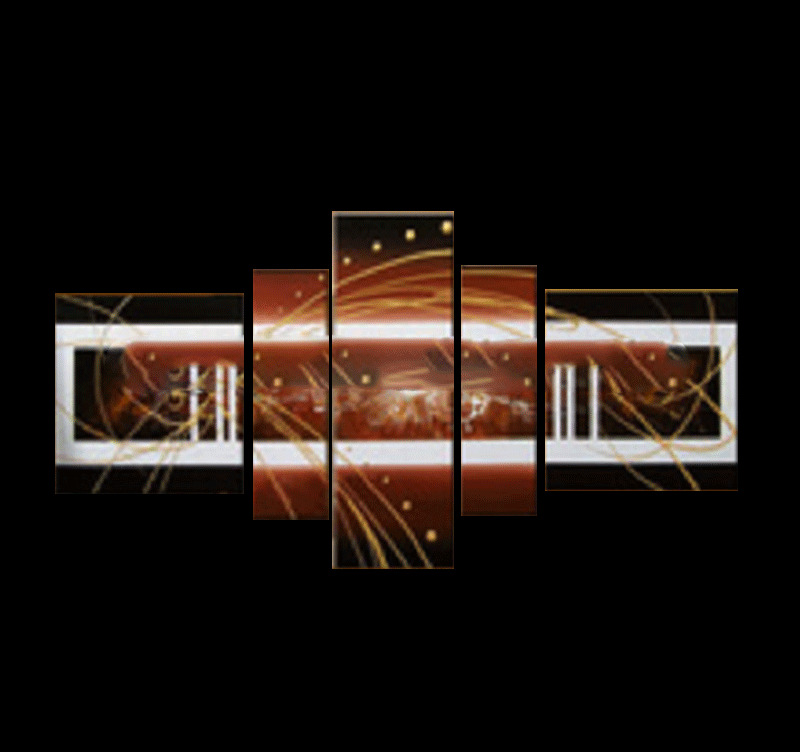 This trendy polyptych is a unique piece that will embellish your living room decoration. The modern pieces from this category are painted on cotton canvas and stretched over a frame made of Canadian pine wood, ready to hang. The hand-painted canvases are delivered with cardboard corners and hanging hooks. All the canvases falling into the paintings category are original artworks; painted by our artists, they are then treated to withstand UV and moisture to ensure optimal rendering and lifetime.